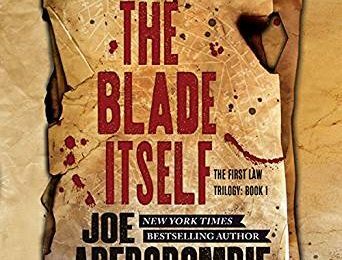 Book Review - The Blade Itself by Joe Abercrombie - Honk if you love justice! The First Law Trilogy is another series I’m late to, but I enjoyed The Blade Itself quite a bit! This is not my first Joe Abercrombie, having checked out Half a King previously. Abercrombie’s books tend to the ‘grimdark’ side of epic fantasy, and this is no exception. Much like A Song of Ice and Fire, the book follows several key characters through seemingly unconnected storylines. Logen Ninefingers, a barbarian in exile from the far north. He falls in with the wizard Bayaz, who may or may not be the legendary First of the Magi. Captain Jezal dan Luthar would like nothing more than to fence and drink, but also gets swept up in the intrigues that are afoot. Finally, Sand dan Glokta used to be a hero of the Union. Crippled after a stint in the Empire’s prisons, he now spends his days torturing confessions out of the Union’s enemies (and friends) in the Inquisition. The story takes a long time to really get started. It’s a common complaint and I have to agree. That being said, there was enough character building going on that I did want to keep going. Just not at my normal ‘a book every other day’ rate. By the end, though, I was definitely wanting to find out what happened next. I wish there was more of an ending and less of a “to be continued” feel, but I get that it can be tough to do. If you are looking for another series to start while GRRM averages approximately a word per day on the next ASoIaF book, this is a solid starting point. You can find it at Amazon, with a preview in the window below. Let me know what you think!